A map of the ever-expanding IPA landscape. There's no doubt that India pale ales are huge right now. In fact, they're so popular that on any given day, you could run across more than a half-dozen variants of this single style of beer. If you're not attuned to IPAs, they can all seem similar and even downright identical. I've put together a list of locally made IPAs that encompasses some of the more popular varieties; hopefully, I can help you distinguish the differences between them so you can make a more informed decision during your next beer purchase. The West Coast IPA: This style of IPA was born in the early- to mid-2000s, and is found mostly in the San Diego area. Emerging from the American Northwest's new subgroup of citrusy hops, these beers quickly developed a massive following, changing the IPA game forever. They have heavy citrus peel bitterness, with malt sweetness that hinges on the fruitier side. Look for big citrus and piney hop bitterness in the finish. An excellent local example would be Epic's Hopulent IPA. It's super complex, and is a true representation of the style. 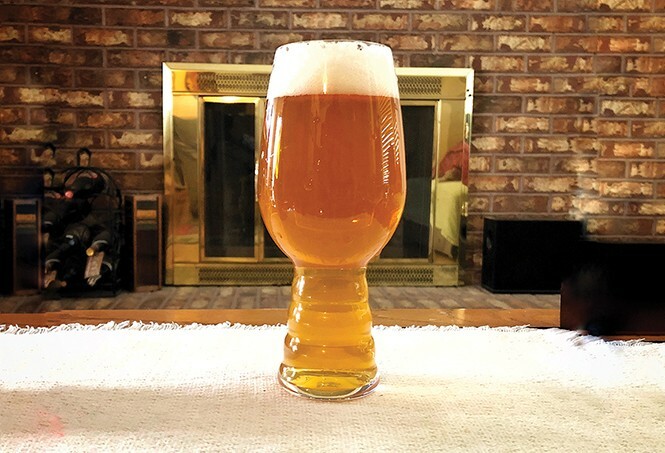 The New England IPA: This style is relatively new to the IPA scene. It was born in Ohio, perfected in New England and is now becoming a worldwide phenomenon. One of the things that made IPAs so huge is their bitterness, and this particular style of pale ale has managed to utilize all the flavors that shine in the citrus and tropical hop varieties, while cutting way back on the bitterness. This style also relies on a cloudy to murky orange appearance that makes it look a lot like orange juice. The result is a creamy and tropical-tasting beer that looks and tastes like fruit juice, but with no actual fruit present. One of the best examples in SLC is 2 Row's Feelin' Hazy IPA. It looks and tastes just like an alcohol-infused Orange Julius. The Fruited IPA: Another new trend with IPAs is the addition of fruit. I guess the thinking here is that, if the implied flavors from the hops make you happy, the actual fruits that the hops are mimicking will make you extra-happy. In some respects, these are done successfully; the trick here is to avoid conflicting flavors between the fruit flavors and the hops. You don't want tangerine on top of tangerine-like hops. That just muddles them both. One of the best examples that I've tried locally is Uinta's Grapefruit Hop Nosh. The citrus here really works well with the IPA without becoming the whole point of the beer. The Session IPA: These IPAs encompass everything mentioned above, plus some others. This style of IPA has all of the flavors of their progenitor beers, only with the alcohol level toned down. Typically the ABV level is below 5 percent and the drinkability quotient is higher than high. Utah breweries have been doing session IPAs long before they were cool, and, frankly, have perfected them. If you'd like to get to know a great local session IPA, Shades of Pale's Grapefruit Revolution is worth getting acquainted with—it's light in body but full on malt and hoppy citrus flavors. There are even more IPA variants out there: black IPAs, retro IPAs, English, Southern Hemisphere and even India pale lagers (IPLs). Only you know what flavor profiles work best for you. Keep this checklist handy next time you're working your way through your favorite beer list, and remember: Fresher is always better with IPAs.